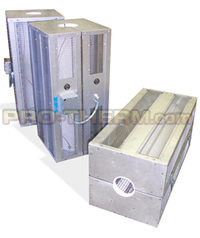 PROTHERM, LLC™ Infraround series heaters are efficient, fast response, medium wavelength cylindrical infrared emitters designed for use in industrial heating applications for wire and cable, tubing, pipe, pultrusions, etc. 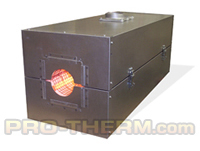 Standard models can operate at element temperatures up to 1800F. Non-standard up to 2100F. Cools down to "safe" temperatures in about 30 seconds. Operating life excess of 10,000 hours is expected when operated at 80% of rated output. 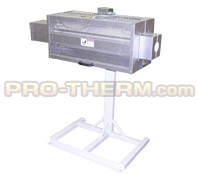 Can be mounted on an plane, ideal for horizontal runs or vertical towers. Maximum width = 15.5 x 15.5"
Opening dia. 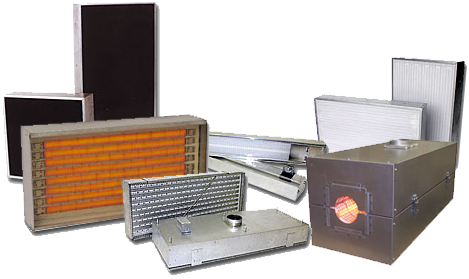 = 2", 4", 6", 10"
Click here to view General Instructions and Warnings on the Inraround™ Infrared Heaters.